While working on an art project we were studying architectural grids, along with curtain walls of mid 20th century skyscrapers. The power of a grid lies in proportions, repetition and order. When in harmony, it can project the beauty of the construction of the human mind, the clarity of mathematics. The project – named Faciem – resulted in a series of art prints that we exhibited in a Tokyo art gallery in October of 2017. 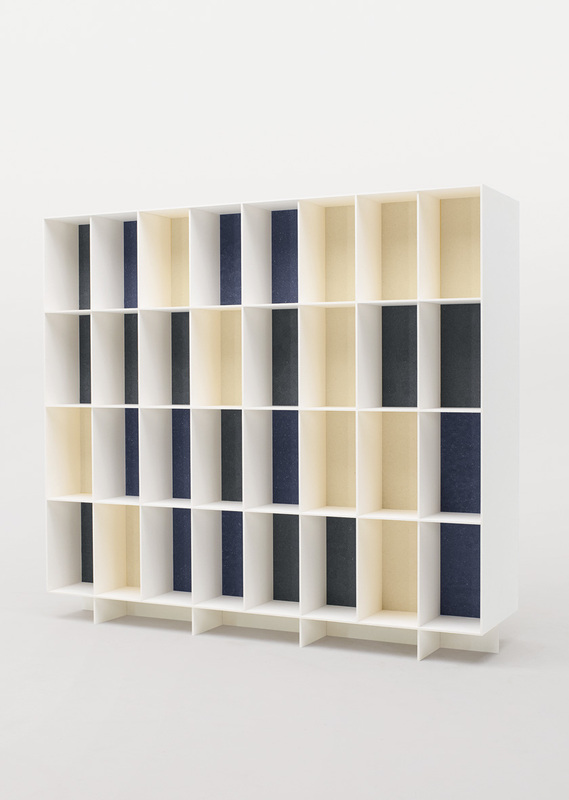 The Bibliothèque shelf is directly influenced by our work on skyscraper architecture. It is almost as if it is a sculptural, scale interpretation of a large building. Yet it is a shelf, it has a function: To hold books. Or maybe objects. 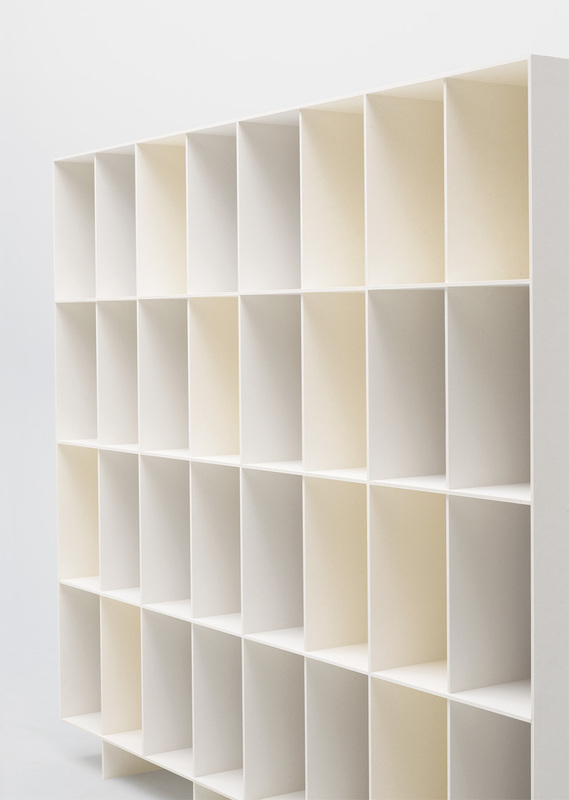 The nature of the material – thin, hard sheets – suggested rectilinear grid construction to us, like in a bookshelf. The thinness is almost two-dimensional, like sharp lines in space, like joints between window panes. Like a skyscraper is in dialogue with the surrounding city, the shelf is free-standing, an element in interaction with the spatiality of the room, not merely a part of a wall. With a tactile natural beauty that only a natural material can give. Really.